Browse the Timeout newsletter for information on what’s new in Wellbeing at Monash. 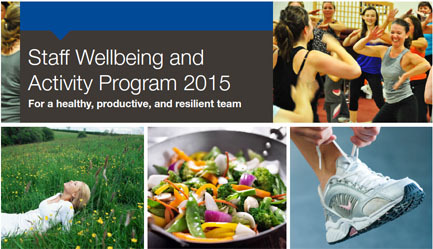 Read about the latest Wellbeing and Monash Sport events, services and activities. Want to make a difference to your health in 2015? Why not get the year off to a good start by getting a few of your colleagues together and registering for one of the many wellbeing activities availabe. Join a fitness class like boxing, pilates, yoga or zumba or register for a mindfulness or mental health program. There’s so many to choose from. With 30, 45, or 60 minute fitness classes priced from just $8.50, 9.50 or 10.50 per person, why not organise a fitness class at a time and venue that suits you and your department by emailing wellbeing@monash.edu. Remember though, to check with your faculty first to see if they have already arranged a program for your area! 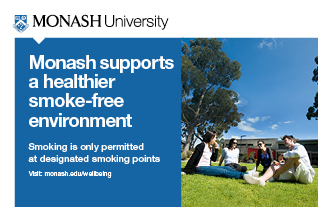 To support the health and wellbeing of its staff, students, and visitors, Monash is continuing its move towards a healthier campus environment with smoking only permitted at designated smoking points. In 2014, Monash along with other Victorian universities adopted the smoke-free initiative as part of a statewide commitment to healthier campuses. Evidence clearly shows that smoke-free environments increase the rate of quitting and reduce the number of people taking up smoking. The final phase of the smoke-free initiative will be implemented with a smoke-free Monash from January 2016. Women’s Health: What do you need? If you could find out anything about your health, what would it be? We are working hard to fill the gaps in the health care needs of women. Take our short survey and have your say on the topics where you would like more health information. Some simple tips for staying in shape in 2015! Here’s some simple ways to get fit and healthy and stay in shape this year! 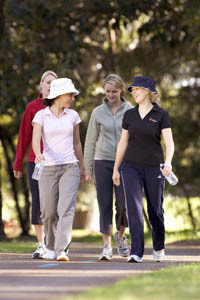 Form a walking group with your friends – its a great way of keeping fit and staying in touch! When catching up with family and friends, why not arrange fun activities like going for a walk, hike or swimming? Get your colleagues together and commit to a healthier lunch break by eating healthy and going for a brisk walk. For a range of activities to keep you moving, click here. Why not bake your favourite cake, brew a pot of tea and host an ‘Afternoon Teal’ party to raise funds for a great cause! February is Ovarian Cancer Awareness Month, aimed at raising awareness of the symptoms, risks and impacts of ovarian cancer. Your ‘Afternoon Teal’ party will be one of many aimed at raising $500,000 to support work in ovarian cancer awareness, advocacy and research. To register and plan your ‘Afternoon Teal’ click here. At Monash we encourag e staff to make the healthy choice when providing food for staff meetings and events. 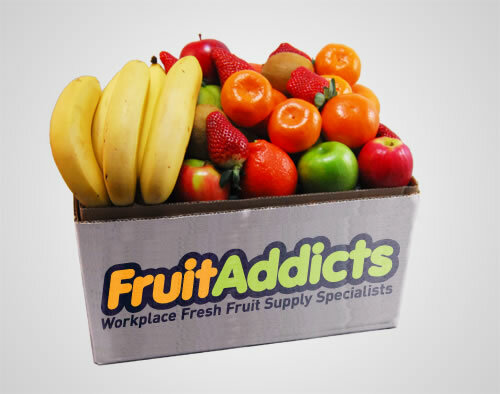 Why not try a delicious box of fruit at your next meeting and event or replace the existing biscuits in your staff room, with fruit. All new customers will enjoy 50% off their first month’s fruit delivery! With free delivery to Monash campuses and 10% discount off the following prices, this is a great healthy alternative. To order contact Steve at FruitAddicts or phone 1300 438 378 and quote ‘Monash Wellbeing’. Payment can be made via cheque, credit card or monthly invoicing. Weight Watchers is once again being offered on campus during 2015. Staff who enrol will have the convenience of weekly on-campus meetings, to help them achieve their weight loss and lifestyle goals. The program will consist of weekly lunchtime meetings over a 13 week period. To register your interest, please click here. 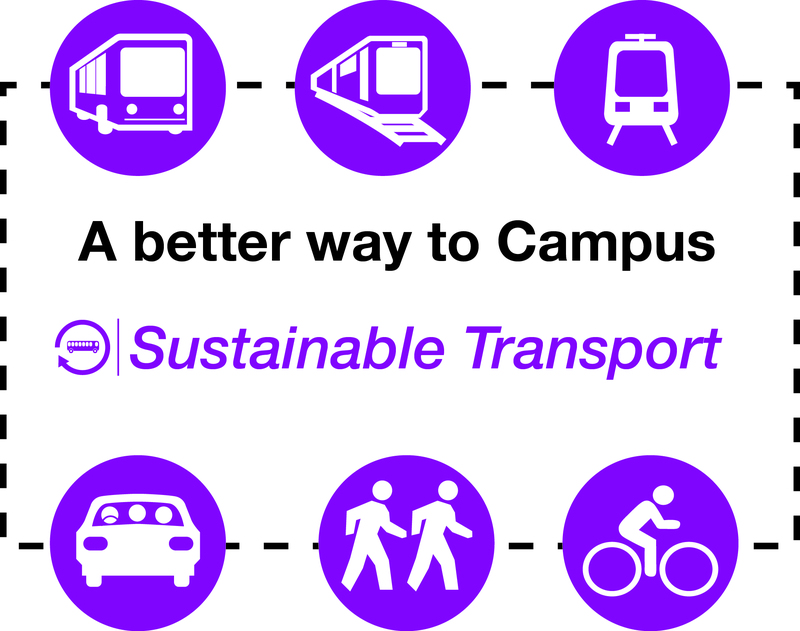 How do you travel to uni? Do you take the bus or the train? Perhaps you bike or walk. Whatever the case, your choice of transport could make a real difference to your health. According to a recent Melbourne study, your health is affected not just by how you commute, but from where. People who used public transport, or drove to the station or bus, they got about half an hour a day incidental exercise, whilst people who walked to the station or the bus, train, or tram, got about 41 minutes a day. Walkers and cyclists, averaged about 38 minutes a day. So next time your thinking about hopping in your car to get to work, why not walk, ride or take public transport and commute your way to a healthier lifestyle! the capacity of mindfulness to enhance information processing, decision making and performance. Supervisors are encouraged to take part in this 3.5 hour program which in addition to the above 4 points, also looks at what you can do as supervisors, to assist in the embedding of the mindfulness practice. The mindfulness program for supervisors is available online. 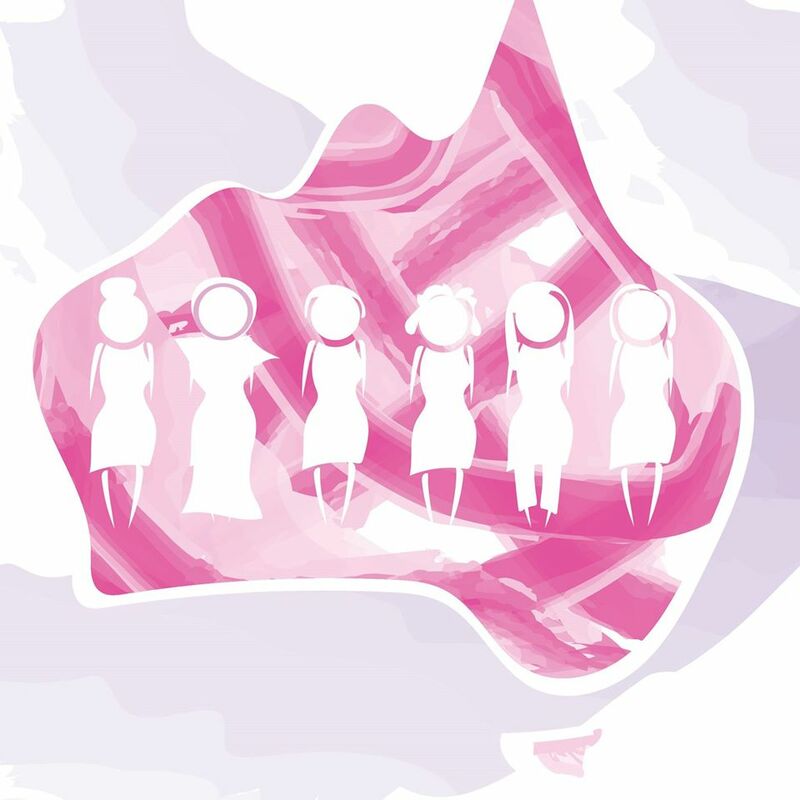 Up to one in 10 Australian women will experience depression during pregnancy. This increases to one in seven in the year following birth. Anxiety is thought to be even more common. We can all play a vital role in supporting expecting and new parents. The Fresh Start program is a supported program that helps to boost confidence to quit smoking, as well as provides resources, strategies and information to participants about quitting smoking and how to stay quit! Programs have already been held across Clayton and Caulfield Campuses with further sessions to be offered. 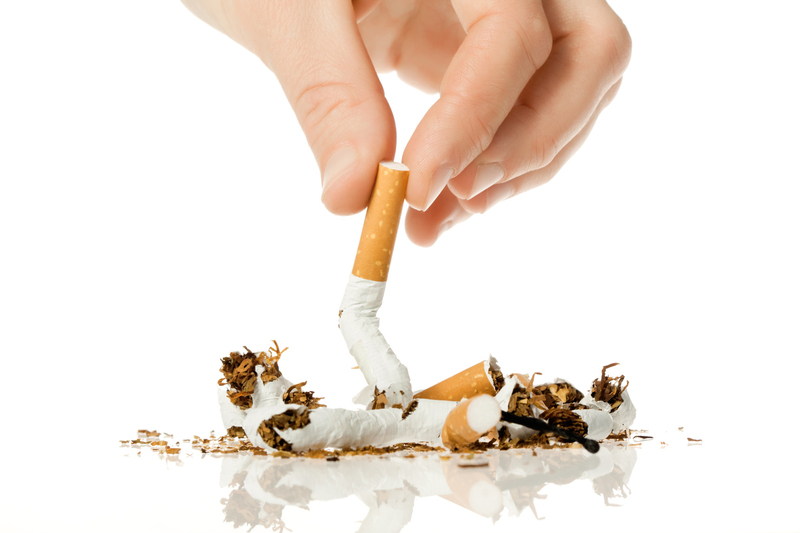 To assist those smokers who wish to kick the habit a 4 week program consisting of two sessions per week, will be held at the Caulfield Campus on 9,12,16,19,23,26 February and 2,12 March between 12-1pm. To celebrate the 2015 Australian Open, when you purchase a 12 hour pass, Monash Sport will serve you three hours for free! On sale for a limited time only at Clayton. Tennis, badminton, squash and table tennis only. Head over to the Clayton Service Desk to purchase your pass today. The primary outcome from your exercise session is to cause a metabolic shift and therefore increase your basal metabolic rate after your session. What this means is that if you work hard in the gym you’ll still be reaping the benefits for up to 3 days later! So, what do you have to do in order to create this effect? Well, thanks to many, many studies and a large meta-analysis conducted on the effects of different types of exercise sessions, scientist have, in fact, observed the effects of what the optimal form and combination of training is. Optimal for strength, longevity, fat loss and cardiovascular health. On a scale of “good, better, best” the following guidelines are considered your best form training in terms of efficiency, time and efficacy. The ideal combination is to do a 60 minute training session consisting of 40 minutes of strength training followed by 20 minutes of high intensity interval training (HIIT). The idea is to perform compound, full-body training (squats, bench, deadlifts, rows, pull-ups and presses) and go as heavy as you can (mobility and ability depending, as well as ensuring quality of movement supersedes quantity). Training multiple, large muscle groups and lifting heavy weights are extremely effective at increasing your lean body mass, resulting in an increased metabolic rate and increasing fat-burning efficiency. Dozens of studies have investigated the effects of HIIT training and have concluded this far superior than long slow duration endurance exercise or ‘cardio’. Unfortunately, not much fat-burning actually occurs in the gym, suggesting that unless you exercise for 16 hours a day, everyday, the stimulus applied to the body within your session is crucial in achieving in your performance and/or body composition goals. i.e, ‘cardio’ doesn’t result in a great enough stress to continue to reap benefits after the exercise bout is completed, whereas resistance training combined with HIIT is the ultimate combination to achieve your desired outcomes. So, how do I HIIT? It’s simple, although not easy, choose an ergometer (rower, bike, x-trainer, etc…) and alternate between harder and easy efforts. For most, a 1:1 ratio is a good starting point, i.e: 30 seconds fast, followed by 30 seconds slow, repeated 8-15 times. Optimal performance and outcomes are achieved through the balance of training and recovery, therefore these recommendations are suggested to be employed up to three times in any given week, allowing sufficient recovery time in between sessions. Exercise in hot weather can often be a daunting task. Overexerting yourself in the heat can lead to heat stress, heat stroke or other complications. However, just because the hot weather is finally upon us, doesn’t mean it’s time to stop exercising regularly. In the hot weather, it’s important to exercise smart, not less. Below are six handy tips to help you get the most out of your summer workout. Exercise smarter – avoid working out during the hottest parts of the day, preferably exercising when the sun’s heat is minimal – early in the morning or in the evening. Always keep in mind other fitness options – visiting our indoor fitness centre, or going for a cool dip in the Doug Ellis Swimming Pool. Hydration – drinking water during a workout in summer is vital to keep you going. Drink plenty of fluids before, during and after physical activity. Avoid alcohol and caffeinated beverages as they will de-hydrate you. Know your limits – know the signs of danger and know your own limits. If you’re feeling the effects of the heat while working out, stop, seek refuge in the shade and rehydrate. Find a friend – If you are able to, team up with a friend of family member. You’ll be safer if one of you does experience heat stroke, plus it is more fun and having another person will add extra motivation. Ease into the weather – let your body adjust to working out in hotter weather. If a day is hotter than what you’re used to working out in, start off slow and build back up to your regular workout. Dress to impress – wear lightweight clothing with breathable fabrics. Avoid dark coloured clothing; instead opt for something white or similarly light-coloured. Hats are always a good idea to keep the sun off your head. Always remember to wear sunscreen if you’re heading outside. Semester 1 Group Fitness Timetable – coming soon! With all your old favorites as well as brand new classes, there is something for everyone on the new timetable. Enjoy the all-new Energise, Core and Abs and Zumba Gold. Keep an eye out around the centre and on our website for the new timetable. Group Fitness classes at all campuses are included in all Fitness and Fitness + Aquatic memberships. Not a member? Join today! Monash University Staff get a discounted rate. Social Sport registrations are now open at all campuses! Social Sport is a great way for Monash University Staff to stay fit, active and healthy at work. Click here to see the scheduled timetable for semester 1, 2015. Competitions begin the week of March 9 with the season running for approximately 12 game weeks including finals finishing no later than June 4. There is no competition during the mid-semester break 6 to 10 April. Please note Monday competitions will play on Labour Day March 9. For more information, please read our FAQ’s. Places fill up quickly, register your team on our website today! It’s not every day that a university student decides to shave all their hair off, but for Monash University student and Monash Sport member, Sarah Lim, the choice to participate in the World’s Greatest Shave wasn’t difficult. Sarah will be shaving her head bald with on Tuesday 17 March at the Monash Medical Centre. Sarah is a 4th year medical student studying a Bachelor of Medicine and Surgery at Monash University. Spending time at hospitals, as part of her degree, has put her into contact with cancer sufferers. Read Sarah’s full story here. Donate to Sarah’s cause here. Since it began in 2005, Run for the Kids has attracted more than 160,000 participants and raised more than $4.7 million for the Royal Children’s Hospital Good Friday Appeal. Participants can select to compete in either the 5.4km run (Short Course) or the 15.5km run (Long Course). This is the third year running that TeamMONASH has supported this event. Volunteering is a rich and rewarding experience for Monash University Staff. As Monash University staff, you are entitled to two paid days per year for approved volunteering. You can step away from the desk and develop your personal and professional skills without compromising your work commitment. Join Medibank and get one month free ! Medibank has a great offer for Monash Health: Join Corporate hospitals & extras before 28 Feb to receive ONE MONTH FREE. Your Medibank consultant is coming to visit the Berwick and Peninsula campuses on 9th February, and the Clayton and Caulfield campuses on 16th February. Click here to book your consultation now! Monash University has partnered with Medibank to create a special corporate arrangement on health cover for you. For more information, click here. Plus $8.50 Visits to major gyms nationwide! Introducing GymBetter – as a Corporate hospitals & extras member, you have access any participating Fitness First, Anytime Fitness or GoodLife health club for only $8.50 per gym visit nationwide. With no contracts and no joining fees, a Medibank Corporate membership will be the only gym membership you’ll need, Simply visit the Apple App store (for iPhone) or gymbetter.com.au (for Android Smartphones). Get Bupa hospital and extras cover by 28 February and choose one of three gifts as a thank you. See the current offer here. Or see Cover for Corporate (pdf 3Mb), for more information about benefits see the Corporate Benefits Guide (pdf 388kb). Travel Club is a private leisure club which gives you access to amazing holiday deals and discounts to destinations all over the world. Backed by the global Flight Centre Travel Group, Travel Club offers Monash University staff access to the best deals together with a dedicated, highly experienced consultant.As a member of Travel Club you will have access to specially negotiated holidays, products and services tailor-made for you. And, as a bonus, all Monash University staff who register will receive a $50 gift voucher upfront, and one every year after that, to put toward their next holiday*. With Travel Club’s “Price Promise” you can be sure you’re getting the very best price, Travel club will beat any available quote you find*, that’s how committed they are to ensuring you have the best value experience every time you travel. So register today and start planning your next trip. *Terms and Conditions apply. 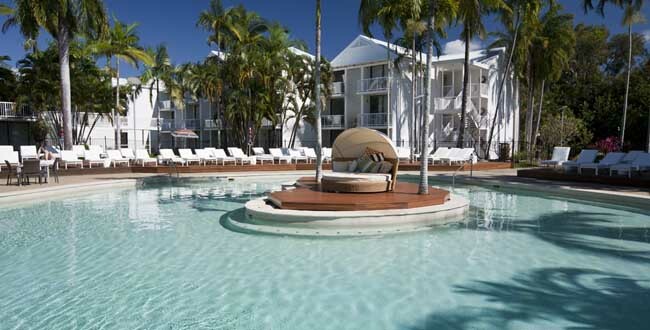 Staff have access to the exclusive Departure Lounge with discounted rates at selected Peppers, Mantra and BreakFree properties throughout Australia, Bali and New Zealand. To book visit Departure Lounge and enter the password: monashstaff Rates are best when searching for 3 night+ stays. For this month’s specials see here. As a Monash employee you can now access a range of banking and financial benefits including competitive rates on home lending and other NAB financial products, discounted movie tickets, computers, travel, shopping and much more from a range of top brands. Preferential rate of 0.7% p.a. less than the standard variable home loan rate for both owner-occupied and residential investment home loans. For higher loan amounts, additional benefits may be negotiated. First year annual fee waiver for NAB Choice Package under NAB@work (saving $395). Home lending: 50% discount on the standard application fee for home loans (saving of $300). Term deposits: Receive a 0.25% p.a. bonus on the standard rates or 0.10% p.a. bonus on the blackboard special rate. This offer is available for deposit amounts of $5,000 – $250,000 for terms of 6-24 months, for online applications through NAB@work. Dining: Special offers on a wide range of restaurants around Australia including local eateries and premium restaurants. Shopping: Special offers on an extensive array of quality brands, products and services through telephone based and online service providers. Sign up for a discounted airport lounge membership for Qantas and Virgin and enjoy the benefits! Qantas Club memberships offer heavily discounted rates that can be salary sacrificed; pricing: $316 (one year) or $560.89 (two years) plus $230.00 joining fee. Virgin Australia lounge corporate memberships offer a special price of $200 per year with a $100 joining fee. Visit Airport Lounge discounts for more information. This entry was posted on Tuesday, February 3rd, 2015 at 1:01 pm	and is filed under Newsletter. You can follow any responses to this entry through the RSS 2.0 feed. You can skip to the end and leave a response. Pinging is currently not allowed. Timeout Newsletter is proudly powered by WordPress MU running on blogs.monash.edu.